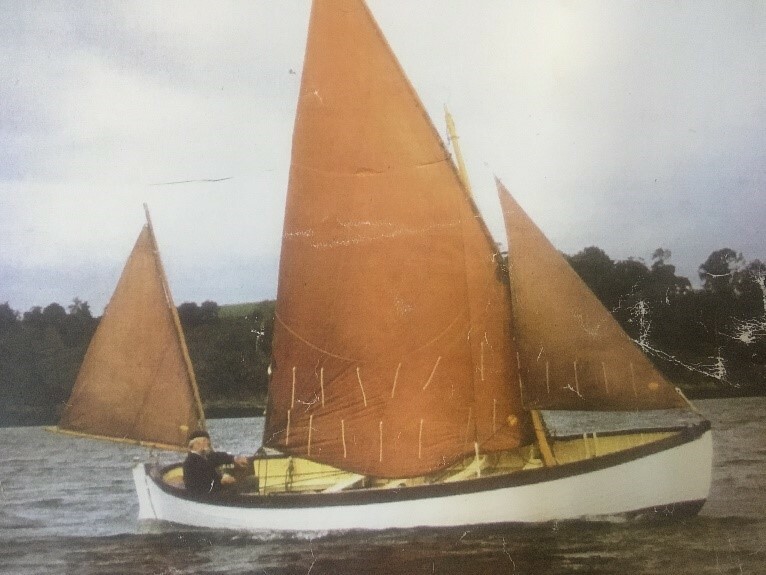 In May 2019 the Underfall Yard will host a special poetry and drama event featuring Swan, a former Royal Navy training boat called a Montagu Whaler. Underfall Yard Volunteer Writer Izzie Compton investigates. A boat rich in heritage and close to the hearts of many, the Montagu Whaler is an enduring emblem of the Navy and its triumphs. Designed in the 1880s by Admiral Montagu for use in the Royal Navy, its design allowed for added stability and a capacity of 27, making it an excellent training and rescue boat in its heyday. 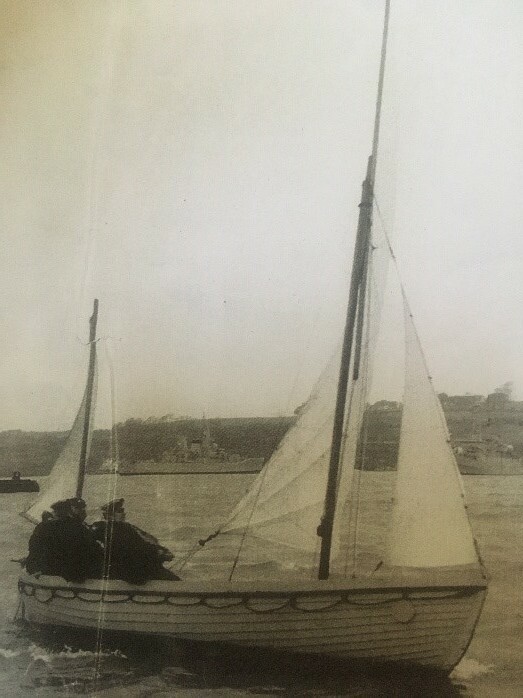 A Whaler in service with the Royal Navy. The 1960s however, saw the end of the Montagu Whaler’s time in service as inflatable lifeboats stole the limelight. The Whalers were then allocated their fate; some were in a state of disrepair, some were sold, some were donated to be used as lifeboats and sadly some were burnt. The history of the Montagu Whaler is a story those who trained in and worked with them are still extremely passionate about. The souls of the boats live on in those that are still in use, and those being transformed into new projects that preserve the legacy of the Montagu Whaler. Mr Brown sailing the Swan. in that workshop worked hard to bring the Whaler back from ruin and give it new hope as a functioning boat. Steve Evans, a Montagu Whaler enthusiast and volunteer at Underfall Yard neighbour All Aboard Watersports, came across the Swan online and discovered that her owners had no use for her. In exchange for three sheets of marine ply, Steve set off last winter to bring the beautiful boat up to All Aboard’s workshop. When researching Montagu Whaler’s online, Steve happened upon a sonnet written and sung by Bernie Bruing. Bruing, on a stroll through a shipyard in Devonport, felt inspired and wrote his sonnet, an ode to a ship he once owned, the Swan. Steve did some digging and made connection with Bruing, informing him of the new life of the Swan. 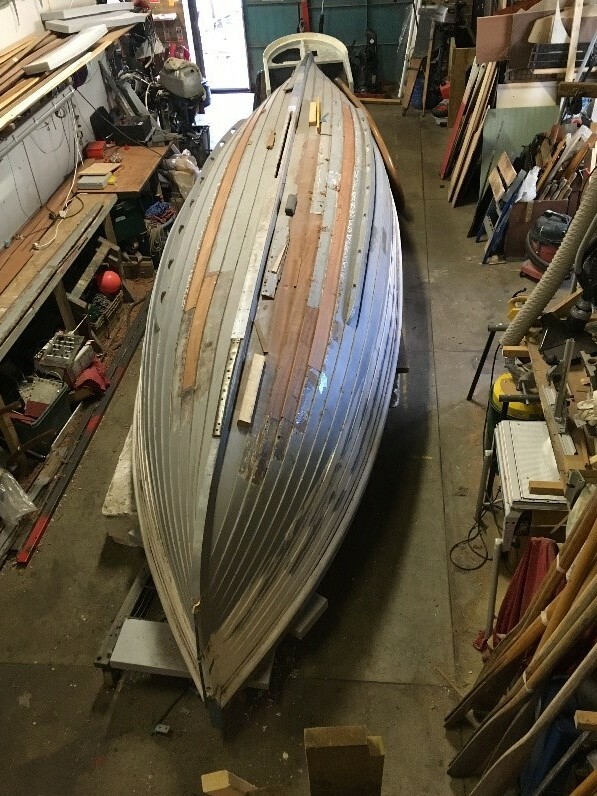 Mr. Brown’s family has also been notified of the beautiful legacy of the Whaler, and his widow recently paid a visit to the workshop in Bristol to see the boat in all its glory. The Swan undergoing restoration at All Aboard. The tale of the ‘Swan’ has not reached its end however. The boat is currently undergoing further repairs to enable her to be used as a rowing and sailing boat in Bristol and further afield. The organisation supporting the repair of the boat is All Aboard Watersports, a charity that offer young and old the chance to have a go at sailing, rowing, canoeing and boat building. A community-based project, the organisation aims to give those with physical disabilities and additional needs a taste of water sports. The Swan will be a great addition to All Aboard’s variety of boats, allowing for a true sailing experience for all involved. The vessel is will also be taking part in a variety of projects in the future, in Bristol and elsewhere. It is hoped that she will take to international waters in when she sails to Brittany with a crew of volunteers. There are plans for the boat to be entered into the Great River Race in September 2019. In May a production inspired by ‘The Lament to the Passing of the Montagu Whaler’ by Bernie Bruing will also be held at the Underfall Yard in May as a celebration of its renovation. The maritime spectacle will begin with an array of food and drinks being served in front of Pickle Café at the Underfall Yard. Guests will then be invited to join a celebration of the history and hopeful future of the Montagu Whaler with a speech from Steve Evans. A small enactment starring the Swan will then be performed, with a performance of the ‘lament’ by Bernie Bruing himself before the evening draws to a close. The heart-warming story of the vessel is rich in history and touched all involved, as it will continue to do so in years to come. A boat never forgotten, sailing into a new adventure.